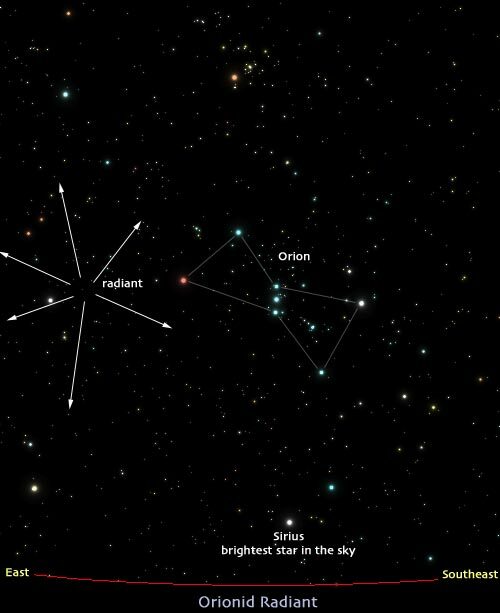 The Orionids meteor shower is this week end! On friday October 21 around 24h00 Finnish time (21h00 UT) and on the dawn of Saturday October 22 (early hours of the morning) the Orionids meteor shower are expected. The Orionids is an average shower producing about 20 meteors per hour at their peak. It is not the most powerful meteor shower of the year, but it is worth a look. 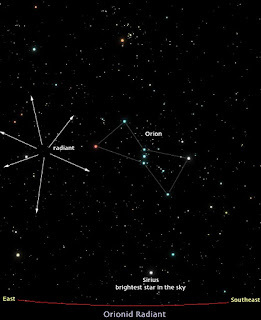 The radiant (direction from where they come) is just north-east of the constellation Orion. If you can find the bright orange star Betelgeuse, you are almost in the radiant. 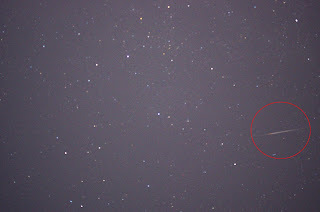 never the less, look at the entire sky for the meteors, if you catch one, the sight is pretty impressive! 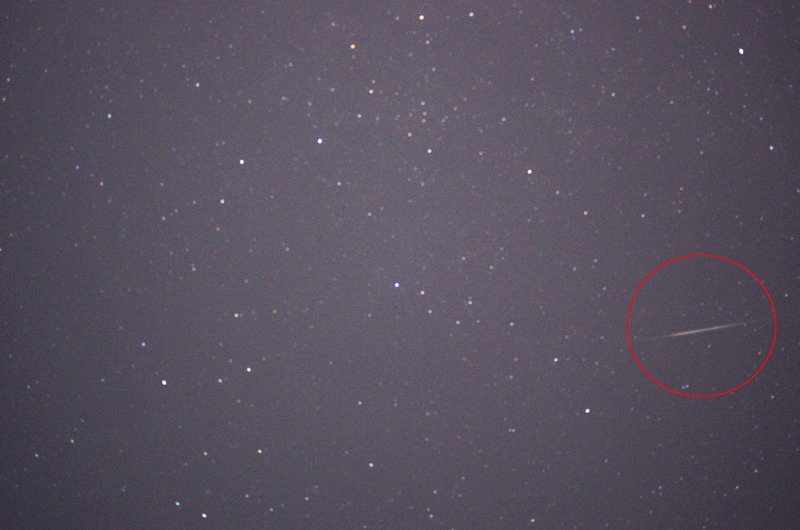 The picture at the left is a meteor from the draconids meteor shower on October 8th 2011. It was a great feeling to capture one on camera...great!!!! Remember the best way to look at meteor showers is to have a comfortable recliner-chair or simply a blanket (or yoga mat) on the ground and face up the sky. You dont really need nothing more than your eyes, little nocturne pic-nic and good company. Of course if you have a camera and tripod, it is worth to take it with you. Dark places like the country side or parks in your neighborhood is good places to go for these events. I will be at home in the island of Kustavi where our starclub is due this week end, and hope there will be lots of people participating. If you are in south Finland and want to join us, just contact us Here. I hope you join the fun and good luck!